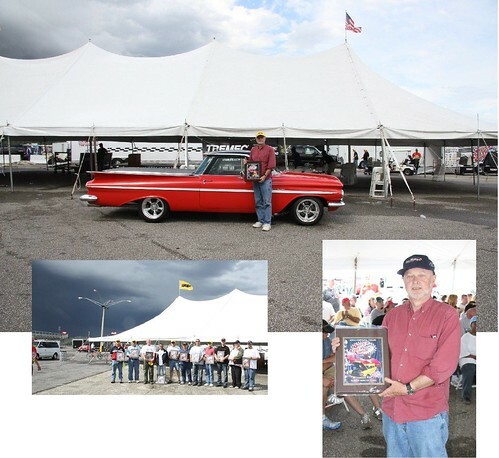 Here are some photos of our recent Class win at the Super Chevy Show in Memphis, TN. Look closely at the photos and you can see the storm clouds approaching. It was a rainy weekend but a great time for all. Well, maybe not all, the drag racers didn’t get to see much track time. Those dark clouds were hiding a tornado that was spotted just seconds after this photo was taken but fortunately it never touched down. If you want to get your car on our site look for us at up coming shows. We will be in Des Moines as well as Nashville for Good Guys. We will also likely be doing another Super Chevy and some other regional shows this summer and will keep you posted on where to look. Need a Gift for Father's Day? Here is an idea!